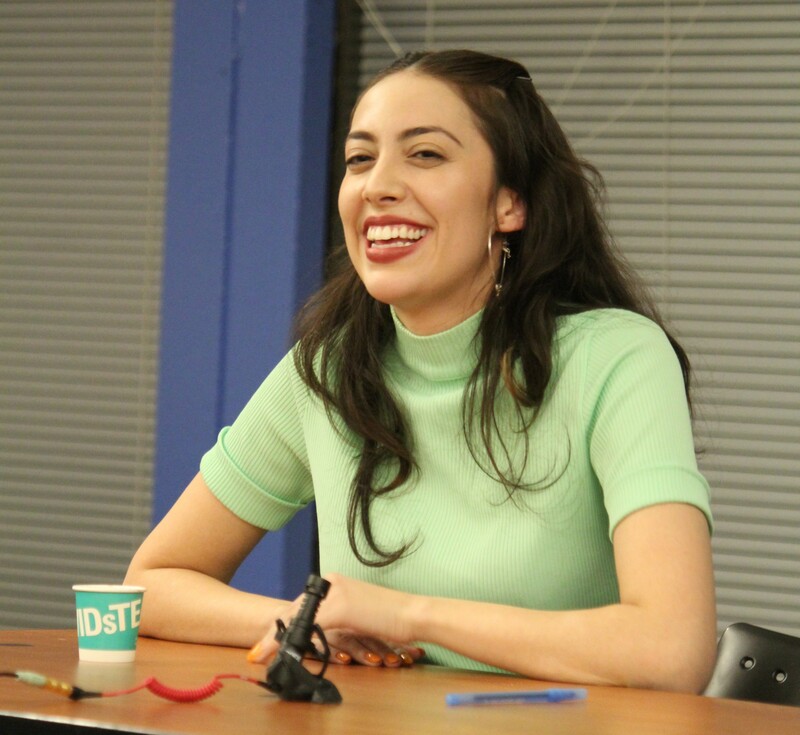 “I’m just a young woman trying to navigate the world, and trying to do so in a way that is in line with her own values and lived experiences,” said Dre, a.k.a @gothshakira, an intersectional feminist and Latinx meme creator. On Feb. 27, alongside photographer Edward Row, Dre spoke at a panel on social media as part of a three-day journalism networking event hosted at McGill University. Dozens of student journalists attended a series of panels on the future of journalism, given the advent of digital media. Yet only some had the privilege of listening to Dre speak about creating autobiographical memes that challenge the mainstream representation of various marginalized groups and the power of sharing personal experiences. Memes plague the internet, popping up on our Instagram and Facebook feeds all too frequently, redirecting our attention to a joke or poignant comment. However, Dre’s memes often intimately recount her personal experiences, which creates an aura of human emotion not typically found on the internet. When Dre first started her personal Instagram page in the winter of 2015, she had no idea the social media following it would gain. “That’s part of the total ephemerality of the internet—just the spontaneity of it and how anyone can slide into your DMs [direct messages],” Dre said. Currently, @gothshakira has nearly 60,000 followers on Instagram, having caught her “big break” in 2016 when Gucci slid into her DMs and commissioned her to design a meme as part of the #FTWGUCCI ad campaign, according to Flare Magazine. Much of Dre’s content is focused on dismantling heteropatriarchy and challenging representations of marginalized women of colour, femmes and LGBTQ+ members. Being half-Colombian and having immigrated to Canada from her birth country, Dre described her upbringing as being in a “very religious evangelical Christian immigrant home,” according to an interview she did with Canadian Art. This is one reason Dre gravitated towards astrology, a unique theme often present in her memes. Dre is also notorious for using images of well-known Latina actresses, such as Shakira and Jennifer Lopez, usually looking unimpressed. Her memes tend to be spliced with a bold text-to-image ratio and typically feature astoundingly poignant text blurbs that highlight the realities of the racialized, sexualized stereotyping that many marginalized groups experience. Dre is very open about her own problematic biases and always emphasizes the importance of listening to individuals’ lived experiences, which invariably differ from her own. “I’m going through my own process of decolonization and unlearning toxic things I internalized in my youth,” Dre said during an interview with Canadian Art. “I’m fully cognizant that the dating memes that I make are about dating straight cis men […] I’m trying to learn more about the experiences and realities of trans people.” This is one example of a marginalized group Dre cannot identify with but whose perspectives she’d like to include in her content. Being accountable for her extended performance art piece—how Dre has come to describe the @gothshakira persona she created—adds a dimension of intimacy to the interactions with her fanbase. “No one else could have created this except for me because it’s very personal, and I’m not going to try to hide behind anything. So, here I am,” Dre said. Her willingness to engage in meaningful conversations is refreshing, compared to many memers who prefer to remain visible only through admin photos and pseudonyms. “It’s been really amazing to meet a lot of the people in real life who have engaged with my content and who have taken something from it. That’s been the most rewarding part of this experience,” Dre said. The network of support and openness Dre creates through @gothshakira is an example of the interpersonal growth we can achieve when we listen to each other. It’s a much needed reminder of the individual agency we create when outwardly acknowledging our emotions, and the power in taking control of how our personal experiences are told. There is so much to be gained from being vulnerable. For more of Dre’s memes, check out her Instagram page. Does Concordia need a fall reading week?